World and Main | Delivering simplicity. Facilitating success.  World and Main develops, markets and distributes products to leading retailers, wholesalers, home centers, discount stores, food & drug chains, municipalities, eRetailers, catalog companies and independent hardware stores. Our core categories include paint sundries, hardware, home environment and plumbing products. Owned brands include: Shur-Line® and PXpro™ (paint sundries); Bulldog®, Guard® Security, Ultra Hardware™ (locksets & security); Comfort Zone® (home environment); WordLock® (padlocks); Bright-Way® (electrical supplies); Helping Hand (housewares) and AquaPlumb® (plumbing). With 3 North American distribution centers totaling over 560,000 square feet of warehouse space, robust owned brand product lines, and global sourcing, World and Main has the inventory to serve Main Streets across the country. We offer flexible delivery to accommodate all channels. 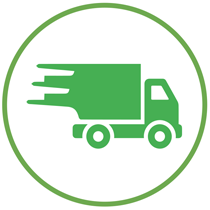 We streamline and simplify your reorder process from start to finish: from online ordering to multiple delivery methods including drop shipments, pick-up in China, or delivery to stores. 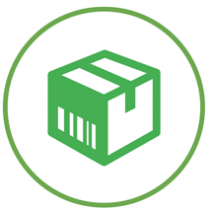 Our goal is to ensure the products you need are on your shelves at the right time and price. The World and Main global network extends to over 35 countries covering over 13,000 products. In addition to our branded products, many of the world’s leading retailers trust World and Main as their valued private label or OEM (original equipment manufacturer) supplier of quality products. 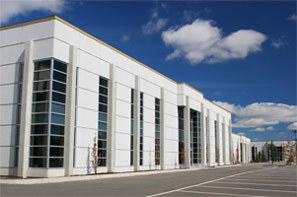 Our overseas packaging facility creates unparalleled program flexibility. 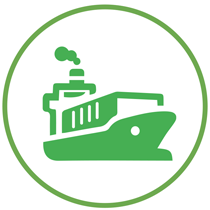 Plus our global distribution footprint provides customers with consolidation services ideal for direct shipment programs. To ensure quality products, the World and Main quality team employs product experts who define, audit and inspect every program. For over 135 years, Bulldog Hardware has been developing fastening products to make do-it-yourself projects easier. Bulldog Hardware products are strong and reliable with a proven track-record of innovation. Today, Bulldog Hardware is a major, diversified brand in the convenience hardware category and its products can be found in many major retailers throughout the country.  Based in Cranbury, New Jersey, World and Main (Cranbury), formerly HBC Home & Hardware Products, is a leading distributor of home and hardware products across core categories including paint sundries, hardware, home environment and plumbing products. Our broad assortment includes nationally recognized owned brands such as Shur-Line® ,PXpro™, Bulldog®, Ultra Hardware™, Comfort Zone®, WordLock®, Bright-Way®, Helping Hand and AquaPlumb®. 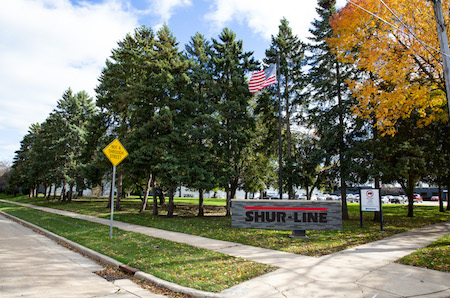 Shur-Line, founded in 1945, designs and manufactures a full line of innovative paint application and paint-project related products for do-it-yourself consumers. Focusing on consumer-driven innovation, Shur-Line develops products that make painting easier, faster and fun. Shur-Line offers a full product line of roller covers, brushes, paint trays, poles, frames, surface prep and edging tools.